For this paper, sponsored by Magento and Bronto Software, over 1,000 online shoppers were surveyed about their awareness of shopping cart technology. Understand the shoppers' point-of-view. 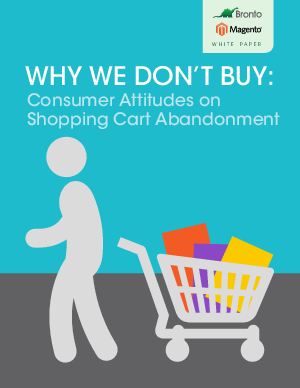 Download Why We Don't Buy: Consumer Attitudes on Shopping Cart Abandonment.